It’s taken some time, but the other major Hollywood production to have filmed on our sunny shores in 2014 (the other being the less-than-overwhelming Hitman: Agent 47) is finally hitting our cineplexes. And the overall verdict is: less than overwhelming. 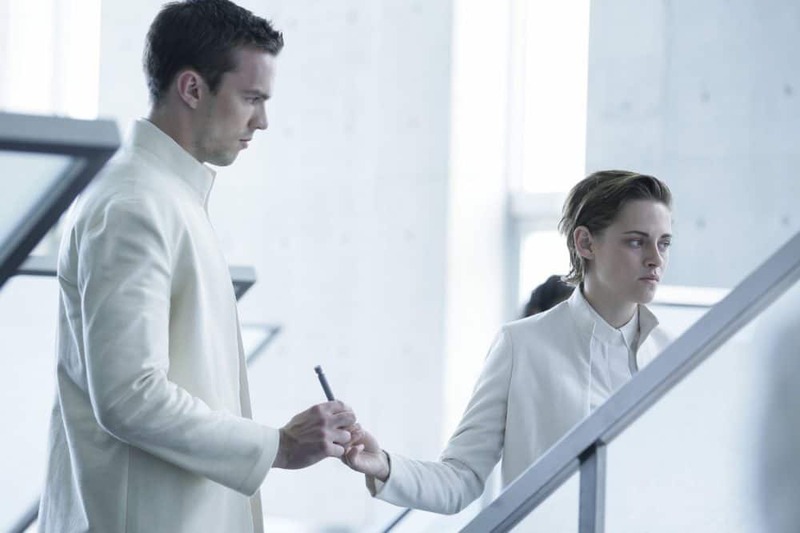 Equals is by no means an unmitigated disaster, but it’s just difficult to muster up enthusiasm for a movie about humans who don’t feel any emotions. If director Drake Doremus wanted to reproduce his protagonists’ stoniness and indifference in his audience, then the movie’s undoubtedly a resounding success. In a futuristic utopia where human emotion has been eradicated so as to achieve happiness, prosperity and progress for all nations (sorry, couldn’t resist), mankind has become supremely self-regulated and efficient. Everyone plays their part to perfection and in return, the state (here christened the Collective) guarantees effortless comfort and wellbeing. 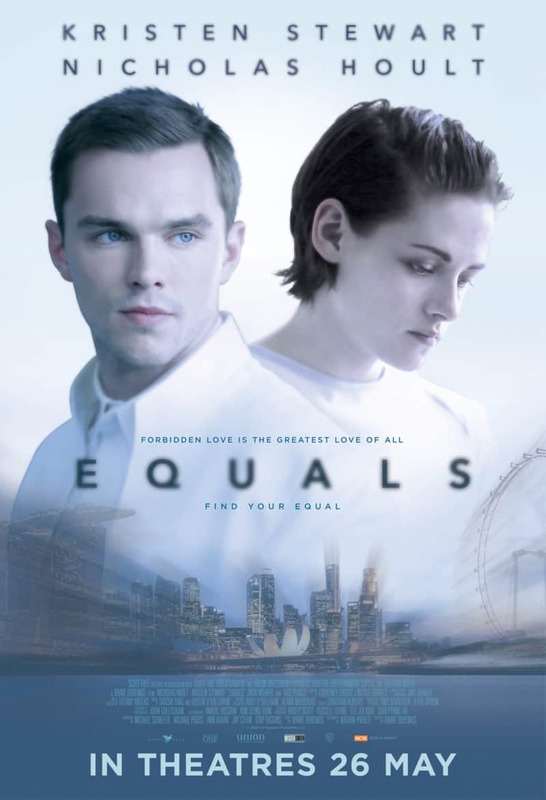 When illustrator Silas (Nicholas Hoult) succumbs to a mysterious illness that reawakens the capability to feel, he finds himself growing more and more attracted to his enigmatic colleague Nia (Kristen Stewart). What ensues is a love story set in a society where love is seen as a nefarious infection. To its credit, Equals executes that simple premise to minimalistic perfection. Sci-fi and post-apocalyptic junkies will no doubt wish that more attention was given to world-building and contextual backstory, but the truth is that Equals knows what it wants to focus on, and prioritises accordingly. The relationship between Silas and Nia is central to the film, and most of the sci-fi elements are fleshed out if and only when they bear directly upon the romance. We get the bare bones of what made the Collective the way it is, and not much else. Potentially intriguing societal characteristics are referenced once and never elaborated upon, as if they might steal the limelight away from Nia and Silas’ burgeoning passion. This makes the entire film feel a little lightweight and sketchy, too insubstantial to make any lasting impact on the audience. It’s not as if the romance between Nia and Silas isn’t compelling, far from it. Stewart has received plenty of flak for coming across as wooden and expressionless (to the extent that some might say she’s perfect for a role that doesn’t require much emoting), but just because she phoned it in during the Twilight saga doesn’t mean she can’t act at all. She and Hoult convincingly portray the simultaneous fear, confusion and ecstasy that come with experiencing emotions for the first time, so there’s at least some level of relatability in the film over and above the flimsy world of the Collective. Making people care about characters that start off devoid of emotion is no mean feat, especially since it’s difficult to pin down exactly what Nia and Silas are up against (apart from the sudden onset of their hormonal impulses, that is). And now for the payload: just how does Singapore measure up as a scenic locale? As it turns out, surprisingly well. Setting a film on our island home may not have worked that well for Hitman, but when called upon to supply backdrops for an indeterminate future cityscape, Singapore delivers the goods. Not every scene was filmed here, but you should recognise Henderson Waves, Gardens by the Bay and Marina Barrage, just to name a few. 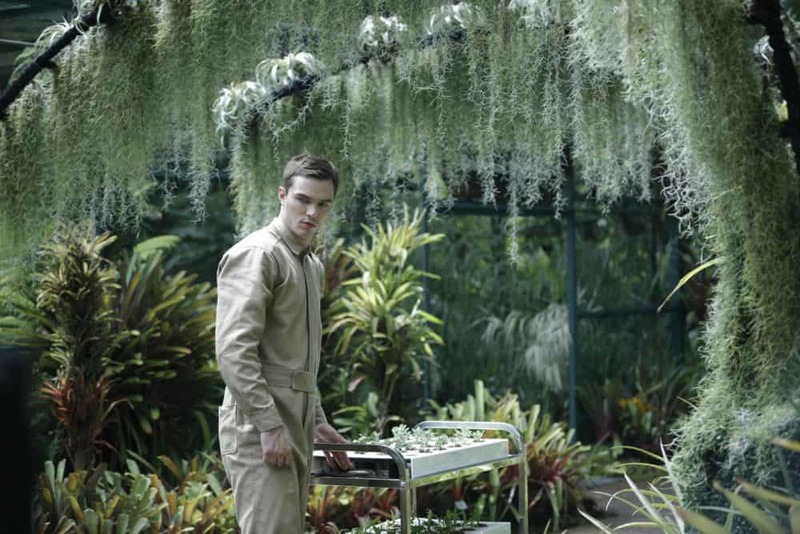 Whatever else it may lack, Equals packs undeniably stylish visuals, a significant portion of which it owes to Singapore’s alien architecture. One can only get so many kicks out of gleefully exclaiming, “I walked in the exact same spot that Nicholas Hoult did in that scene!” though. Like a piece of abstract art, Equals lends itself easily to admiration but not so much to identification. As the film winds down to a close, you’ll find yourself searching for an appropriate adjective to sum up the whole experience, not just the visuals, and fail. There’s something lacking, just like in all its emotionless characters. Summary: Nice to look at but barely registers otherwise. KStew does an OK job. Watch out for local actress-DJ Vernetta Lopez’s blink-and-you’ll-miss-it cameo.